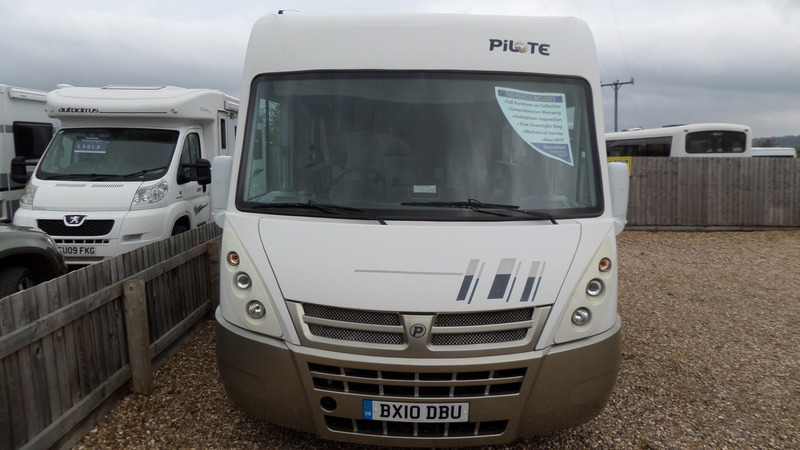 This very well presented Pilote Reference offers a very spacious front dinette/lounge area with an L-shaped bench seat and an extra long side facing bench. 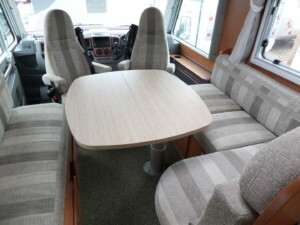 Both driver and passengers seats swivel to make a very social area for eating or relaxing. 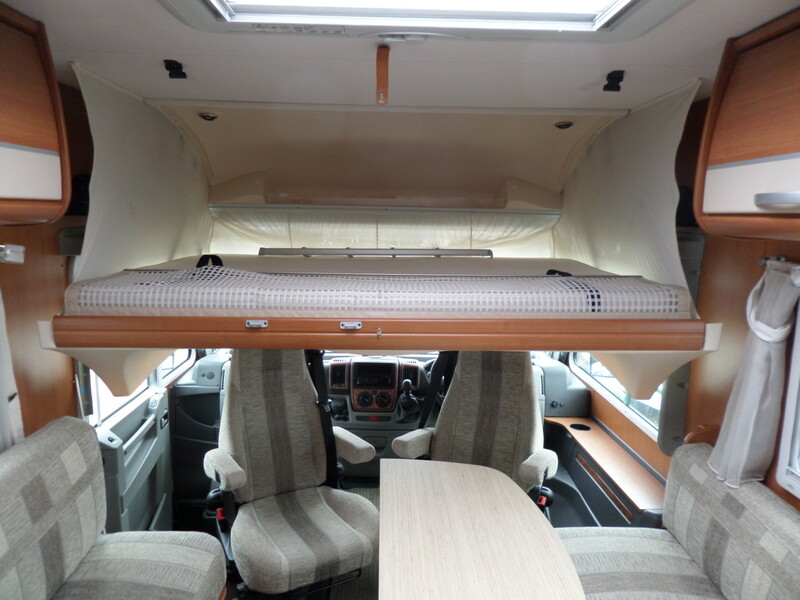 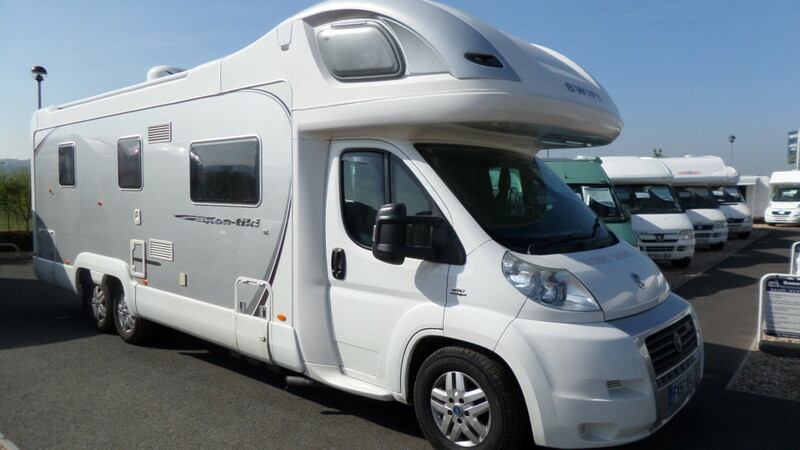 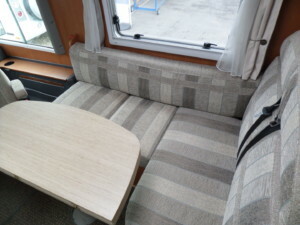 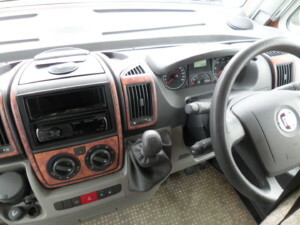 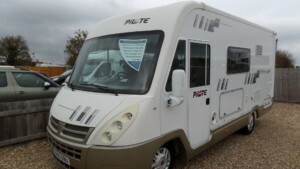 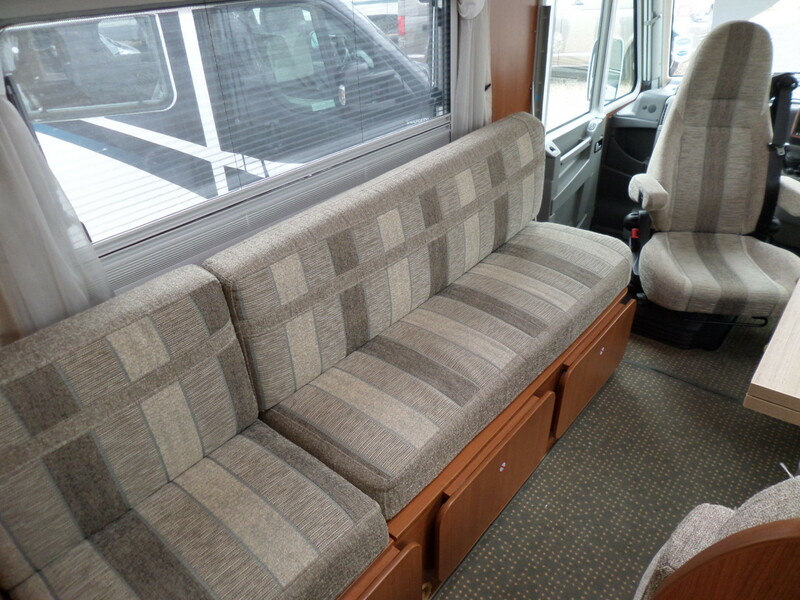 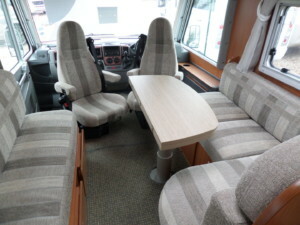 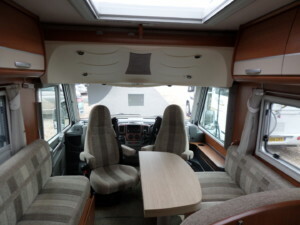 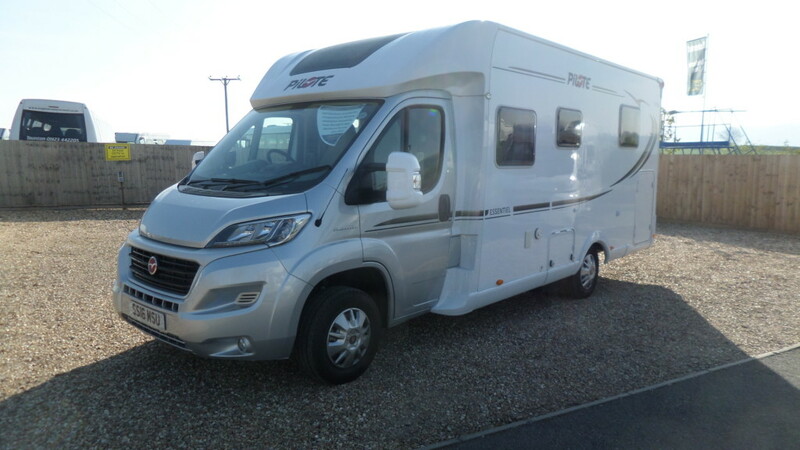 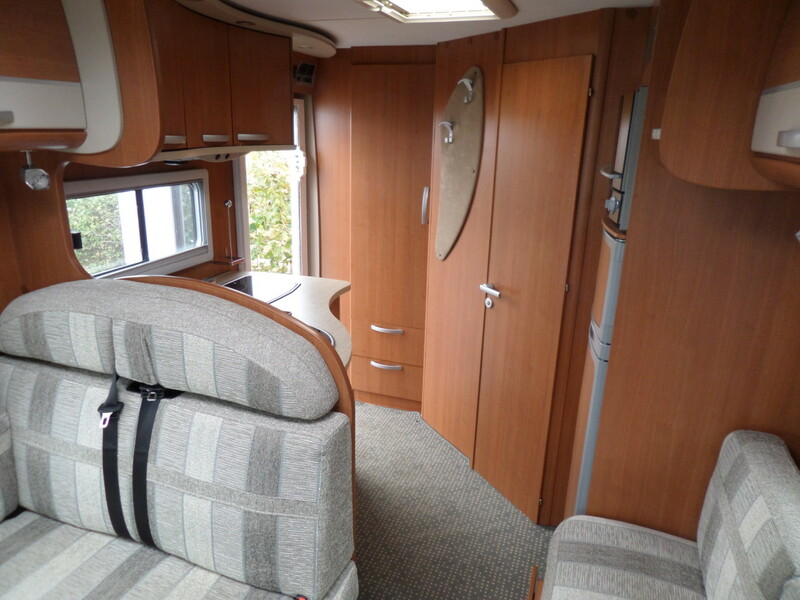 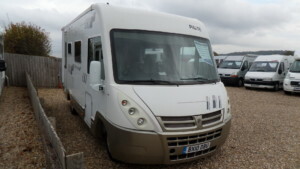 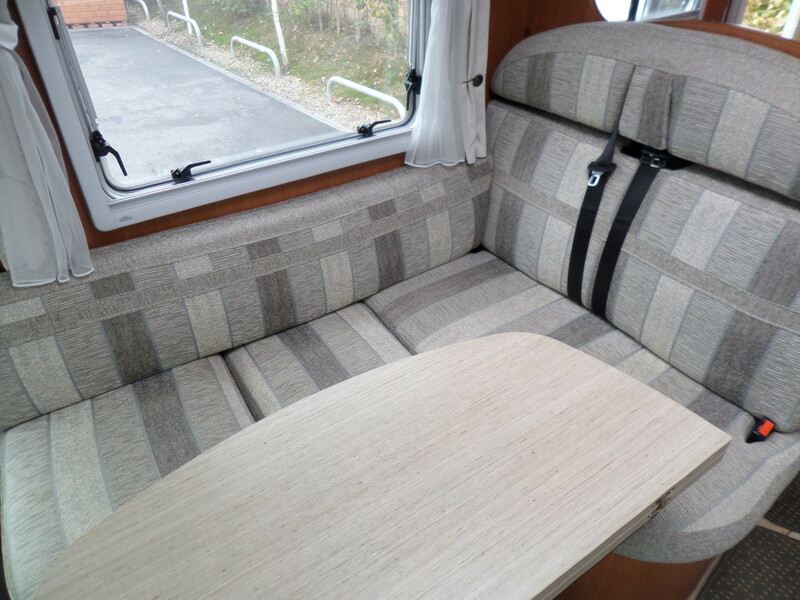 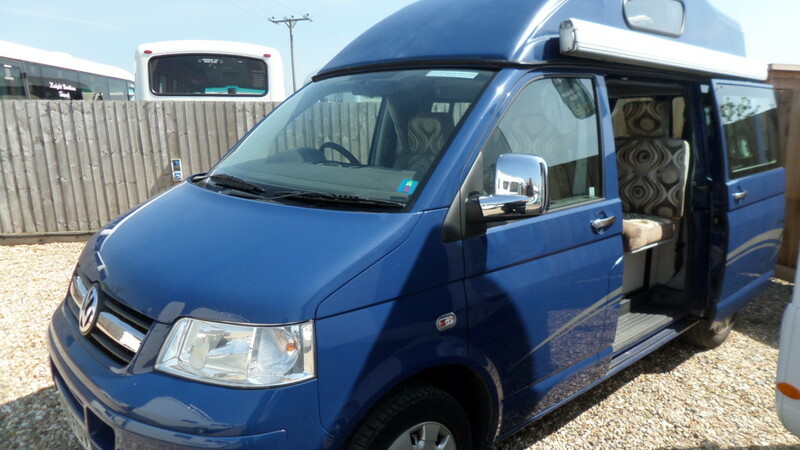 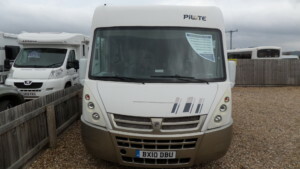 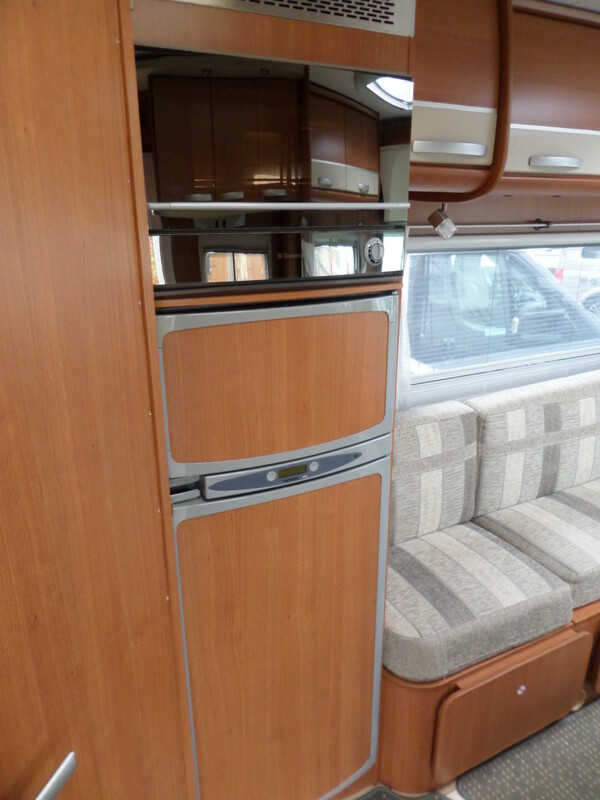 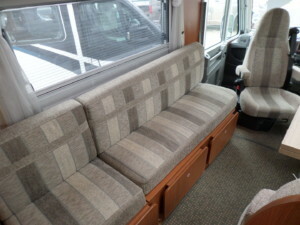 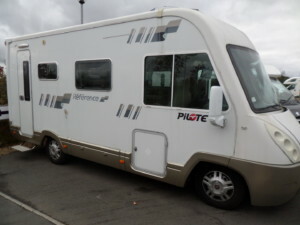 This A class motorhome also has 4 belted traveling seats. 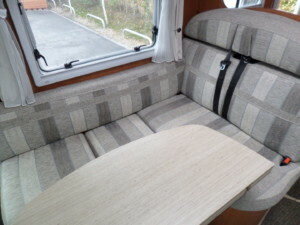 There is a pull down front bed over the cab and the bench seats convert into a double. 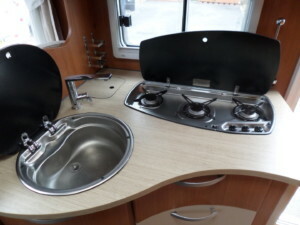 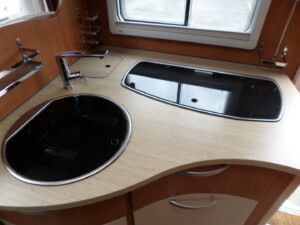 There is a rear side kitchen including a sink, grill, 3 gas hob burner and a fridge freezer. 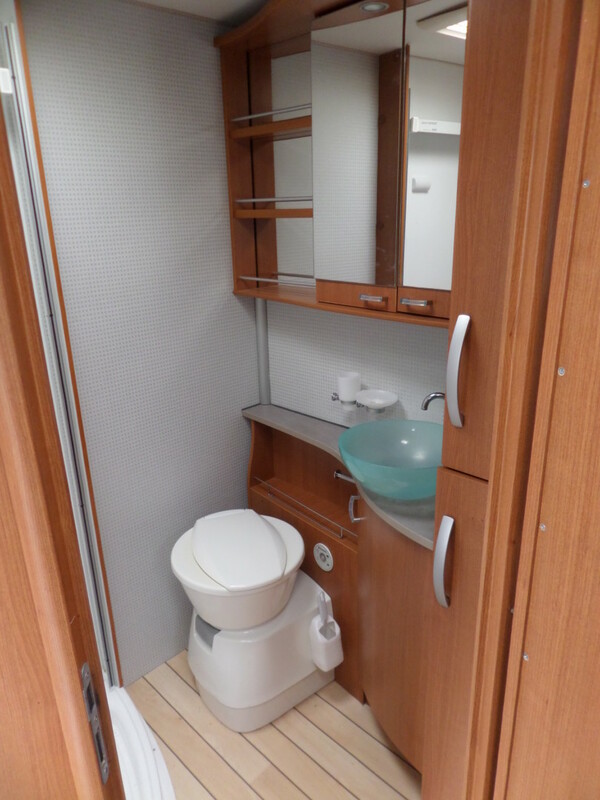 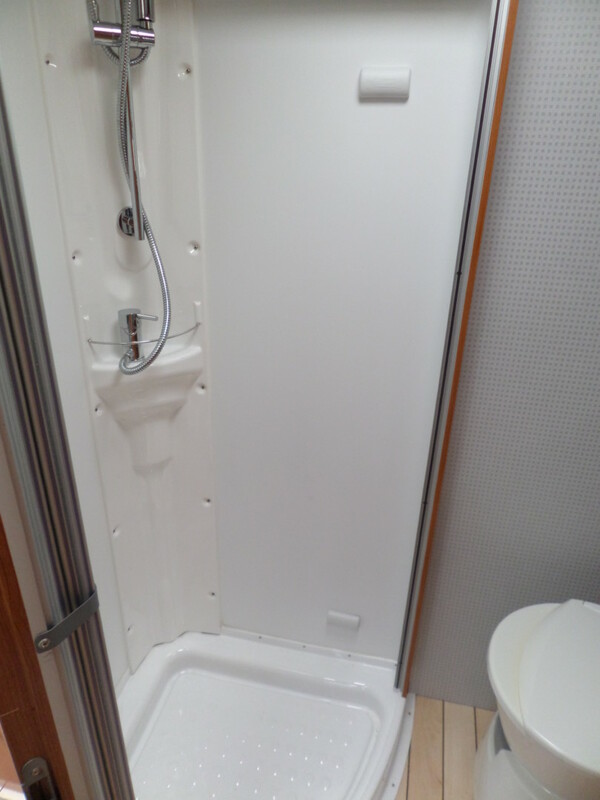 At the rear there is a large bathroom with toilet, sink and a seperate shower cubicle.